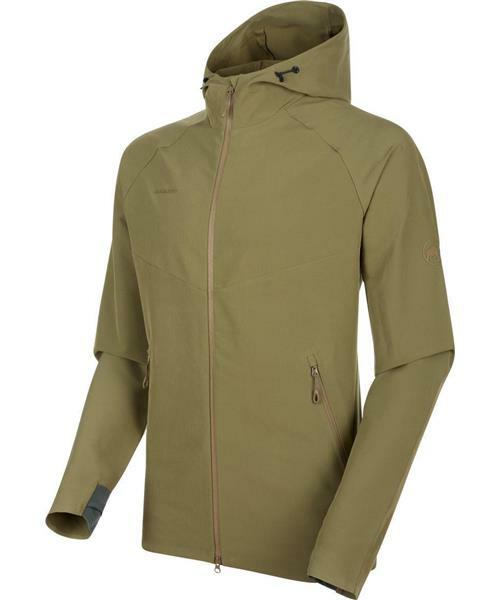 The comfortable Macun SO Hooded Jacket Men will make your next hike a breeze, in terms of equipment at least: the elasticated properties of the pleasantly comfortable soft shell material allow you to move freely. A DWR treatment on the outer material gives the jacket water-repellent qualities to protect you from light rain showers. In visual terms, the soft shell jacket impresses with its high-quality workmanship, combining a modern look with maximum comfort. A jacket for a perfect outdoor experience.